Officers sent to South Farm Road in Worthing on Friday night found a man had received ‘superficial cuts’. 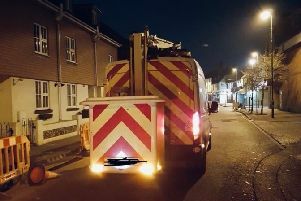 Police were dispatched to the incident near Worthing railway station at 7pm on Friday after a report that a man had been injured. “A 45-year old local man was found to have sustained superficial cuts, not stab wounds, to his stomach,” a spokesperson for Sussex Police said. The spokesperson said it was not known if there had been any arrests.